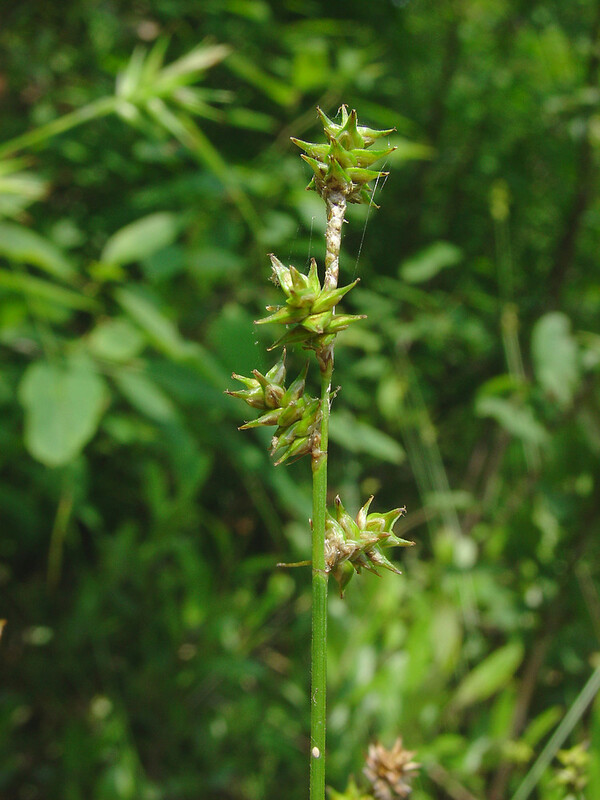 There are two varieties of prickly bog sedge in our region. 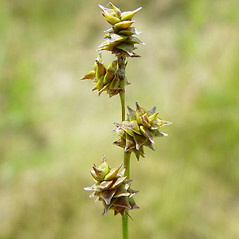 Despite living in similar habitat and flowering at the same time, the two varieties (Carex atlantica var. atlantica and C. atlantica var. capillacea) remain distinct in New England. perigynia mostly 2.9-3.6 mm long with a beak mostly 0.95-2 mm long (vs. C. atlantica, with perigynia mostly 1.9-3 mm long with a beak 0.4-0.95 mm long). 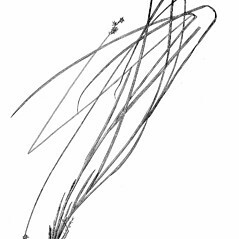 perigynia convexly tapered to the beak, with rounded shoulders where the body narrows to the beak, veinless or with 1-6 faint veins on the adaxial surface (vs. C. atlantica, with perigynia gradually tapered to the beak or concavely tapered, in any case without shoulders where the body narrows to the beak, with 1-10 veins on the adaxial surface). 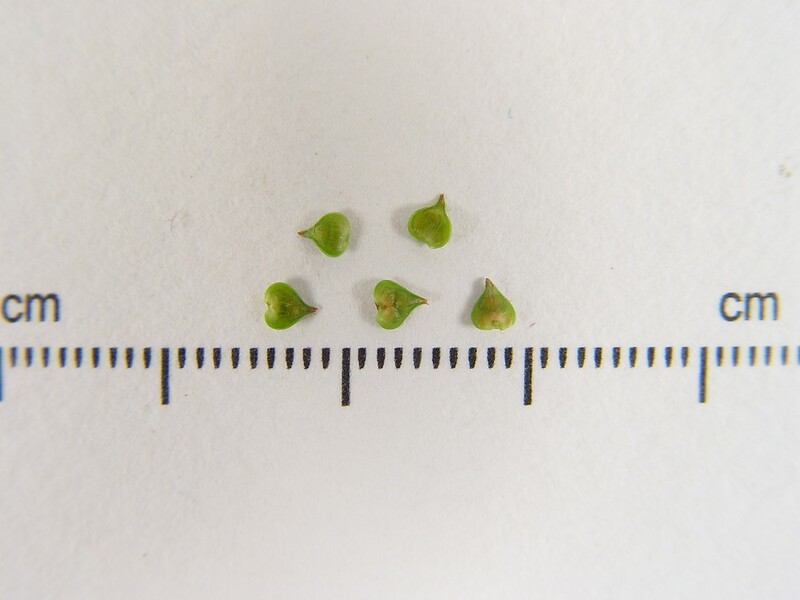 perigynia ovate to broad-ovate, mostly 1.4–2 mm wide, mostly 1.6–2.5 times as long as wide (vs. C. atlantica, with perigynia broad-ovate to suborbicular, 1.5-3 mm wide, 1-1.7 times as long as wide). 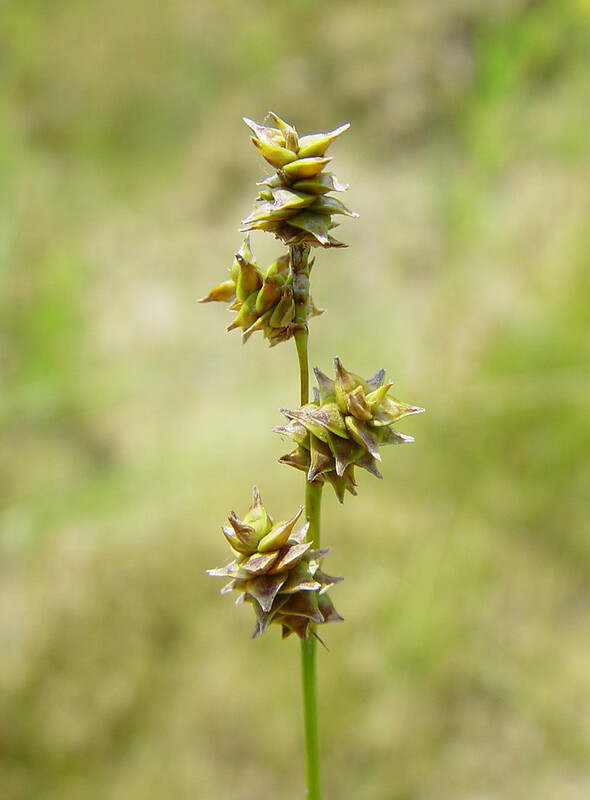 Carex atlantica var. atlantica Bailey is known from CT, MA, ME, NH, RI, VT.C. atlantica var. 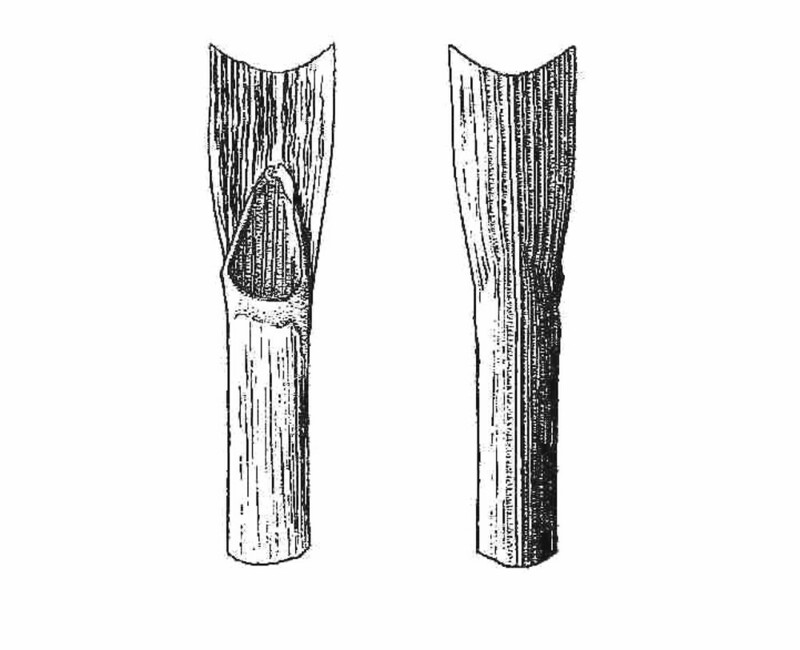 capillacea (Bailey) Cronq. 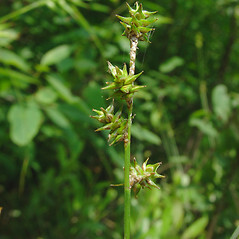 is known from CT, MA, ME, NH, RI, VT.
prickly bog sedge. 170a. Carex incomperta Bickn. 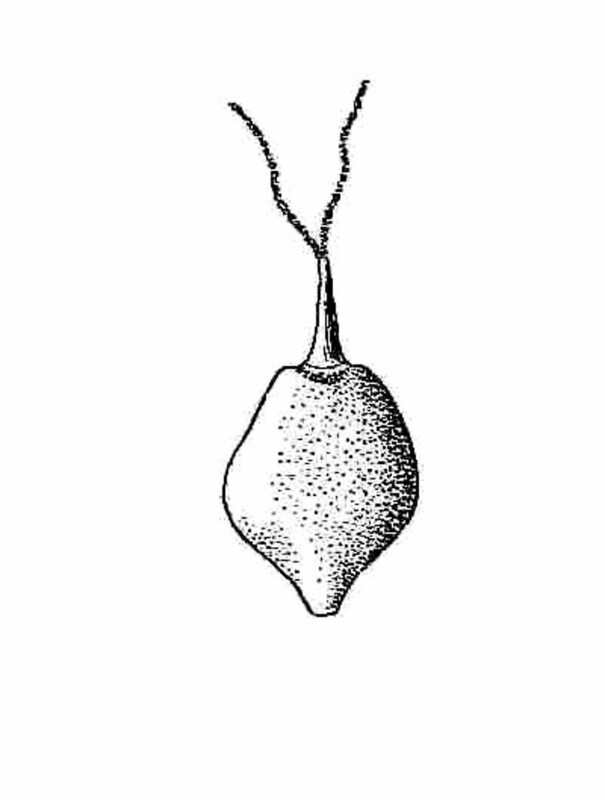 ; C. stellulata Goodenough var. conferta Chapman; 170b. Carex atlantica Bailey ssp. 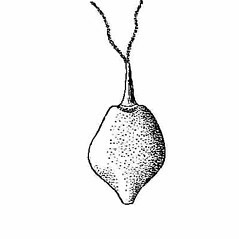 capillacea (Bailey) Reznicek. ; C. howei Mackenzie • CT, MA, ME, NH, RI, VT. Bogs, deciduous and coniferous swamps, wetland margins. 1b. 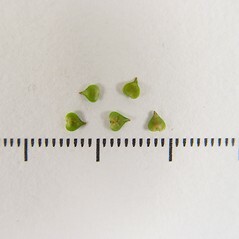 Widest leaf blades (0.65–) 0.8–1.6 mm wide; perigynia 1.9–3 mm long; inflorescences 0.8–2 cm tall … 170b. C. atlantica var. 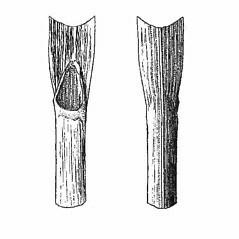 capillacea (Bailey) Cronq. Variety atlantica is known from CT, MA, ME, NH, RI, VT. 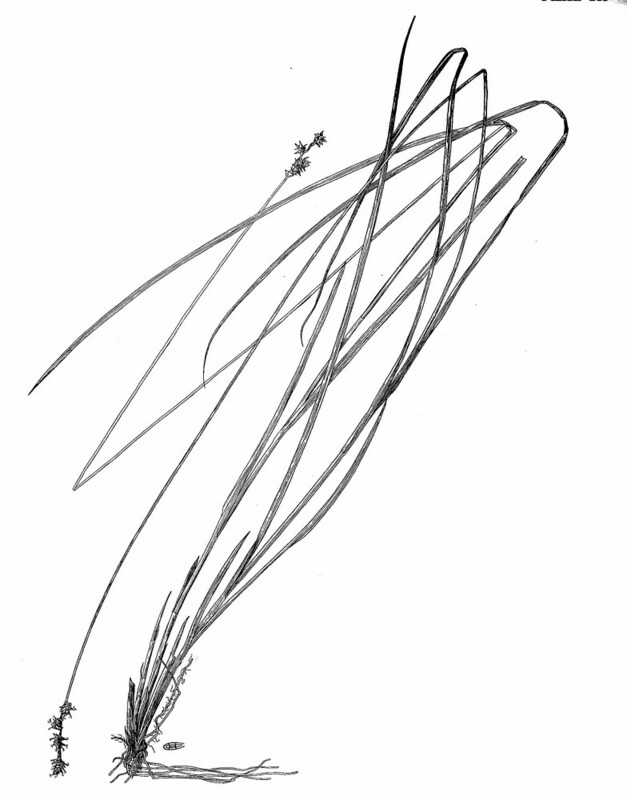 Variety capillacea is known from CT, MA, ME, NH, RI, VT.